Alexandria, Va. – Jan. 3, 2012 – The manufacturing sector is expected to increase hiring in January 2013 compared to one year ago according to a report from the Society for Human Resource Management (SHRM). The report also shows that the manufacturing-sector hiring rate will rise for the fifth time in six months compared with a year ago. The service-sector hiring rate will rise for the sixth consecutive month compared with a year ago. • On an annual basis—comparing January 2013 with January 2012—service-sector hiring will jump by a net of 15.3 points and manufacturing-sector hiring will rise by a net of 6 points. “New-hire compensation rose in both sectors as well, a sign that the job market is picking up,” said Jennifer Schramm, GPHR, and manager of workplace trends and forecasting at SHRM. The December 2012 (the most recent month available) new-hire compensation index shows a net total of 4.8 percent of HR professionals increased hiring packages (5.4 percent increased new-hire compensation while 0.6 decreased such packages). The recruiting-difficulty index for December 2012 (the most recent month available) shows a net of 17.2 percent of manufacturers had more difficulty filing key jobs compared with one year ago. A net total of 1.7 percent of service-sector HR professionals reported an increase in recruiting difficulty during December 2012 compared to one year ago. 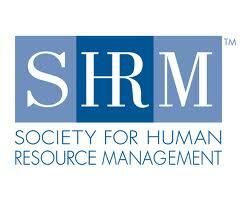 The Society for Human Resource Management (SHRM) is the world’s largest association devoted to human resource management. Representing more than 260,000 members in over 140 countries, the Society serves the needs of HR professionals and advances the interests of the HR profession. Founded in 1948, SHRM has more than 575 affiliated chapters within the United States and subsidiary offices in China and India . Visit SHRM Online at http://www.shrm.org/“>www.shrm.org and follow us on Twitter at www.twitter.com/SHRMPress.